If you love the good old dungeon crawler than you know the value of atmosphere and vibe. To achieve this, a good bit of music in the background or on a firm volume. For that, there’s some good music out there and some of it is very, very specifically made for just that task. 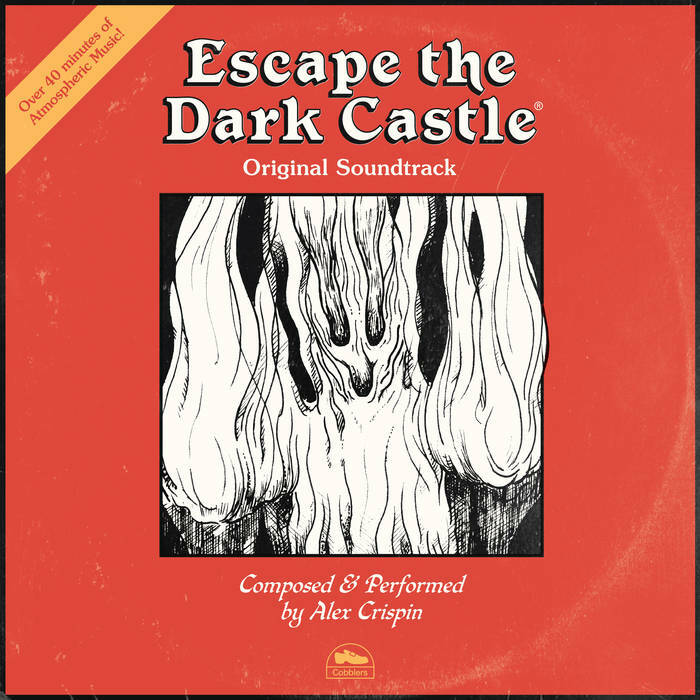 The music from Alex Crispin, Basic Dungeon, Waelmist and Deorc Weg are more than fitting for your next adventure of dungeon crawling. Themeborn is a gaming company from Nottingham (yes, Robin Hood’s hood), who created the game ‘Escape the Dark Castle’. An intriguing dungeon crawler, suitable for non-gamers (I really would love to get myself a copy). For this, Alex Crispin made a soundtrack, which has long been sold out. The game is still available and expansions are coming on! The music Crispin made does justice to the vibe of the game. Eerie drones and ambient sounds, make you instantly aware of the dark, damp dungeon around you. The threat is looming and intensely oppressing as the first song starts. Dark, long tracks, like ‘Endless Dark’ and ‘Cult Procession’ imbibe your experience with the inescapability of the situation you find yourself in. Trapped in the prison with only one thing left to do: to escape. With this soundtrack, you absolutely know how thrilling a game can be if the vibe and story are right. This soundtrack is a must for your gaming session, where tracks like ‘This is your end’ truly enhance the game experience. If you are, like me, one of those people who instantly feels great when you hear the shady, dusky tones of 8-bit role-playing games? In that case, Basic Dungeon is exactly what you need. Gloomy, minimalist sounds that completely capture the adventurous vibe of those early crawling games. They were incredibly hard to play, sometimes for me as a child, impossible to grasp, but filled with a grand atmosphere that still gives me the shivers. This record starts with the foreboding ‘Barbaric Clash’, taking you towards the arches in a dungeon, with pure darkness beyond them. It’s that darkness that is so appealing. No shifting in the distance, odd reflections of light. Your old games were light and dark, with little in between. There’s a simplicity to that, like to the sound of Basic Dungeon, that strips away all unnecessary things. ‘A golden coin is hidden under a dead giant rat ‘ may sound odd out of context, but in game, this stuff just happens. Much like ‘Pixeled Ghost’, which immediately summons that familiar image. 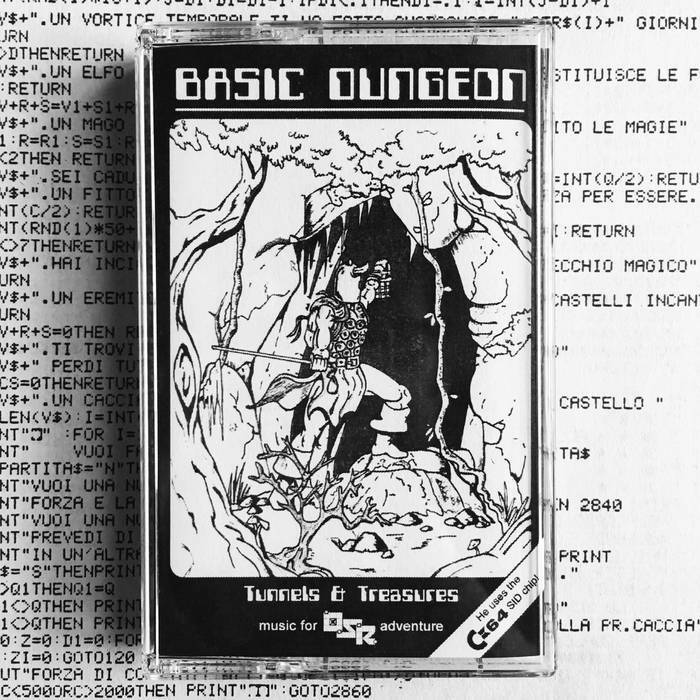 More importantly, Basic Dungeon truly traps that old sound, with the simmering bass line and repetitive key patterns, creating a record that offers nothing but joy. 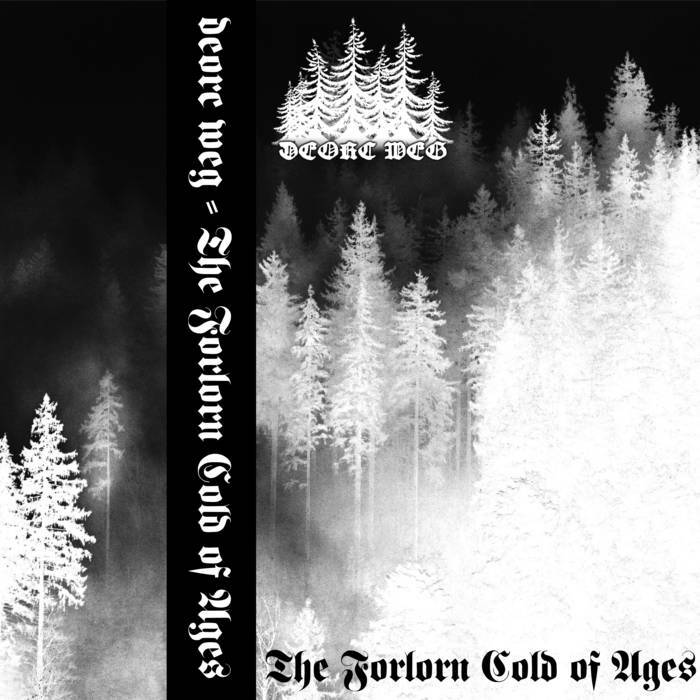 The entity Deorc Weg has mastered the sheer minimalism that goes into creating dungeon synth. It’s not the presence of sound that creates the tension, which makes the music so unique. It’s the absence and suggestion of what should fill the gaps that mesmerize its listeners. 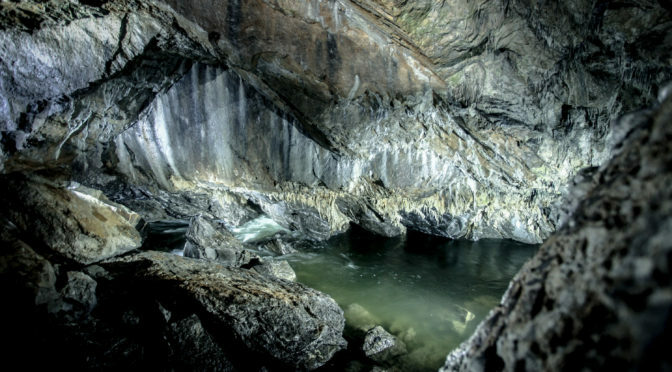 Like reading fantasy, you need to be free to imagine and fill in the blanks with your own thoughts and expectations and this is what you are fully able to with ‘The Forlorn Cold of Ages’. The music flows constantly and the quality of the drums is for example astonishing. As it hits, sparingly, you can imagine the dust of ages flying up only to settle a moment later. The dusty, dry synths are imbued with life. Life unseen, but vibrant and thrumming in droning tones. There’s a way the tunes just flow fully and thus the minimal force is in the music. Everything shifts like waves, rising and falling as the sound ebbs away. Deorc Weg manages to sound both regal as much as foreboding in this manner. Truly the fitting sound for the places of legends. Simon Lucas is the drummer in Winterfylleth and as far as I know a great walker of the verdant realm and the abandoned remains of the past. This record is inspired by the crypts underneath Paris, where millions rest their weary bones in a true necropolis. Although, that would suggest something different in how this ossuary came to be. Waelmist creates tunes befitting of this darker realm. Dark and gloomy sounds barely form a tangible fog of sound. It’s the rare sounding of a gong that breaks into the solemn atmosphere of a place where the living have no say nor sway. 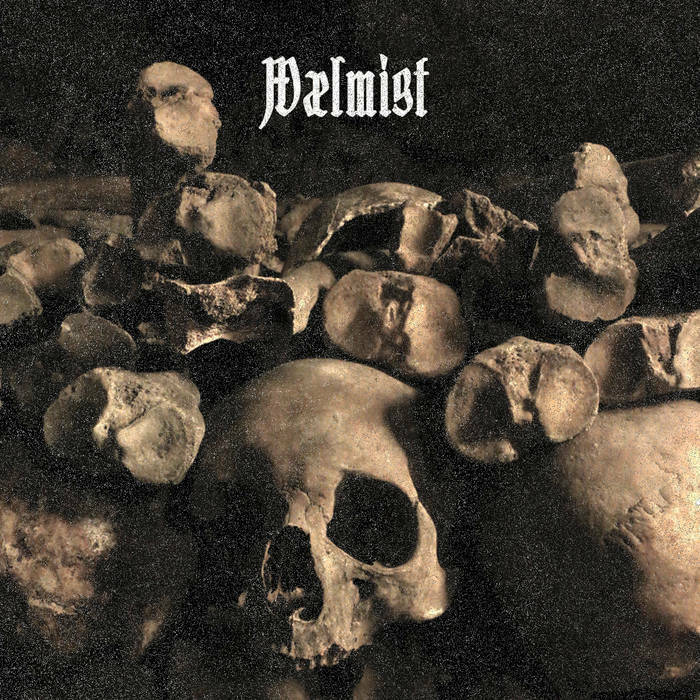 Wælmist wallos in the mysterious, with slowly moving soundscapes and gentle reverb. It’s as if you can’t really discern the origin of the sound, as if the sound may not be really there. This is the atmosphere befitting the crypts, a world that belongs to the dead.